Granted, one factor is ignorance. That is, a lack of knowledge. 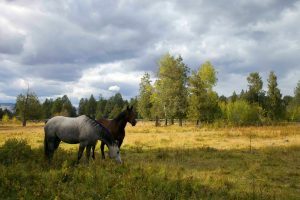 Many horse owners simply aren’t aware of the tremendous advancements that have been made in understanding our horse’s needs, (and how maligning and counterproductive our traditional, present-day practices really are to the horses). Another is the generational stigma of our history with the horses. After all, nearly 6,000 years of dependency on one animal for our survival can’t be shrugged off as simple historic melancholy. That ‘usage’ fell into several general categories, (Agriculture, Transportation and Warfare). Mother Nature designed the horse’s body to carry their own weight. That design is a masterful perfection of speed, grace, agility, and strength embodied in a magnificent musculoskeletal structure fortified with exceptional sensory systems far beyond those of any human. Our ancestors chose to use the horse for those reasons, (and because the horse’s body conveniently fits our own). 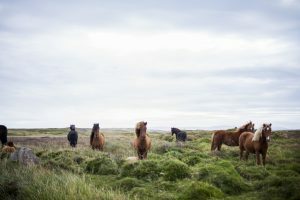 Regardless of what tests are made, (or what our personal needs of usage may be) Mother Nature did not design the horse’s body to carry an additional two hundred or three hundred pounds. John Milton said, “He who overcomes by force, overcomes but half his foe.” Many who still use entrapment and dominance-based methods to train horses may strenuously object to the inference that their horse is a ‘foe.’ But trapping a horse in a small area and forcing them to make specific movements with a rope, whip or stick certainly is not conducive to attaining any degree of interspecies friendship or bonding. As far as the horses are concerned, nothing has really changed in 6,000 years, (despite what marketing ploys may try to deceptively mask). That type of training creates a very adversarial, confrontational relationship. 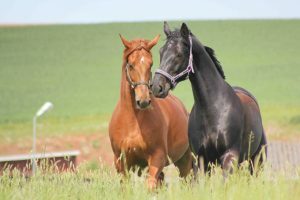 Instead, some of us have learned it is ‘the other half,’ (winning the heart and mind and spirit of our horse) that is the key to a truly harmonious relationship. Of course there is a vast difference between what should be the slight discomfort of carrying a human, and acute or chronic pain associated with that mounted activity. If we want to be the best caretakers possible, (and give our horse the best life possible) that difference entails a need to learn everything we can to make certain that the mounted experience is as pleasant and pain free as possible for our horse. And too, if we want it to take as long as possible for our horse to learn something, what better way than to trap them in a small area and intimidate/harass them? Trapping a prey animal whose primary means of survival is flight is stressful of and by itself. And as we all know, stress hormones inhibit learning. 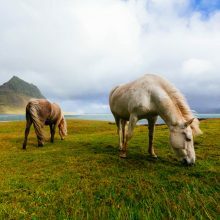 The horse learns a lot faster because they are not trapped in a stressful situation as escape is quite easy, (they can run away to a distance that satisfies their personal flight zone. 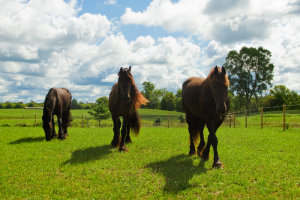 The horse remembers what they have learned longer because we used Positive Reinforcement. Training a horse in an open area, (NOT a corral, picadero or round pen) gives the horse true choice and a sense of empowerment and control. 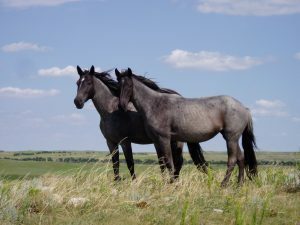 It requires a goodly amount of internal fortitude to refute the generational usage, tradition, the peer pressure of well-meaning friends, and intimidation/ridicule of ‘experts’ who refuse to admit that horses are loving, caring, logical sentient beings, (or at least can be if they are given the opportunity). But the needless pain of their present day servitude is still felt in their hearts and minds and bodies.